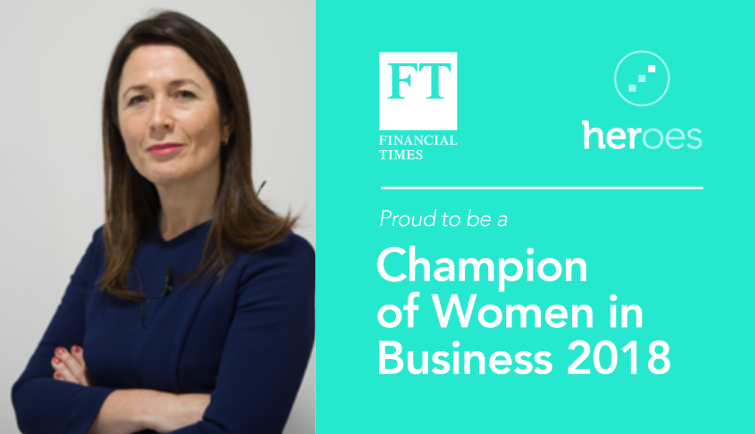 Julia Muir, Founder and Chief Executive of Gaia Innovation, and Founder UK Automotive 30% Club has been listed in the top 100 on the FT and HERoes Champions of Women in Business 2018 list. The FT and HERoes Champions of Women in Business is a powerful celebration of the strides made in gender diversity around the world. The list is published annually by the Financial Times, showcasing female business leaders and their male allies. Julia is also an adviser to The 5% Club, showing how to encourage more women to undertake apprenticeships in male-dominated sectors, and she is founder of the UK Automotive 30% Club, a voluntary group of 22 Presidents, CEOs and MDs from the manufacturers, retailers and suppliers of the UK automotive industry. Julia’s four-phase strategy includes: Reach Out (attracting women to the sector); Welcome In (removing unconscious bias from recruitment and induction); Pull Through (removing obstacles to progression) and Hold On (retaining talented women).